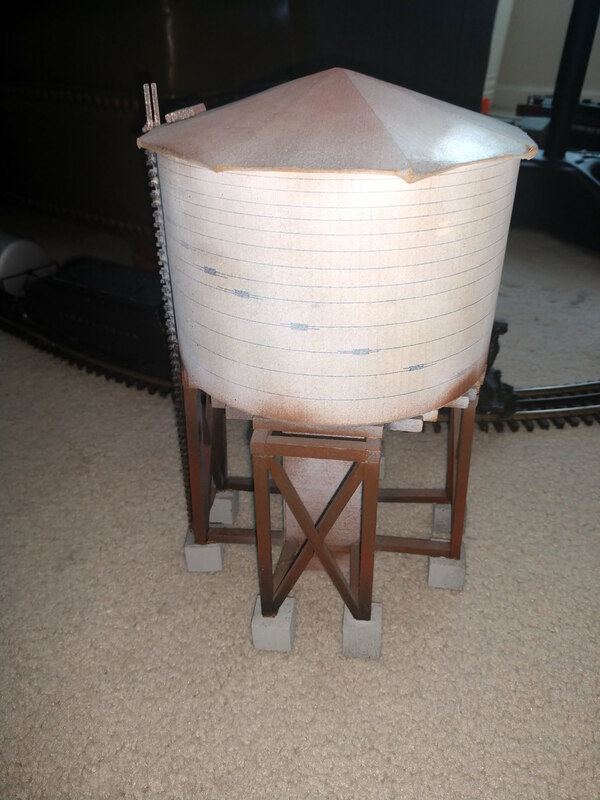 Beautiful scratch built water tower. 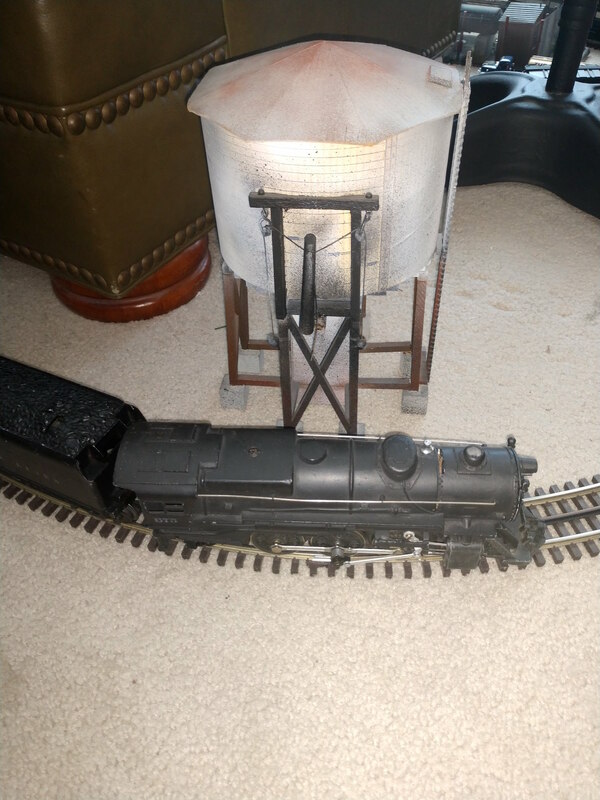 Great for any layout especially if you are modeling in the steam era. Pictures are the best description. Please look closely. Dimensions approximately 7" x 7" x 10.5"
Mainly wood construction with cardstock for tank and roof. 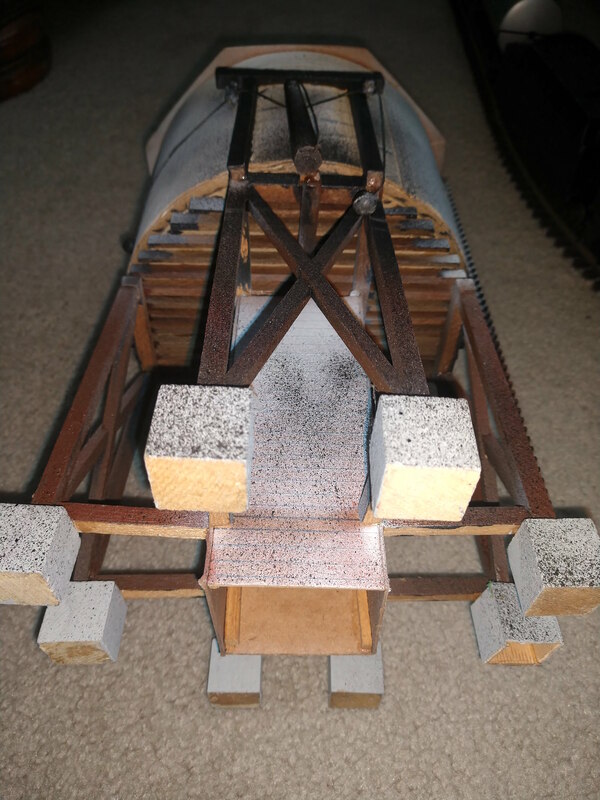 Look at the underside picture and details...very accurately built. Due to the delicate nature of the piece there is a chance a piece may become loose during shipping. 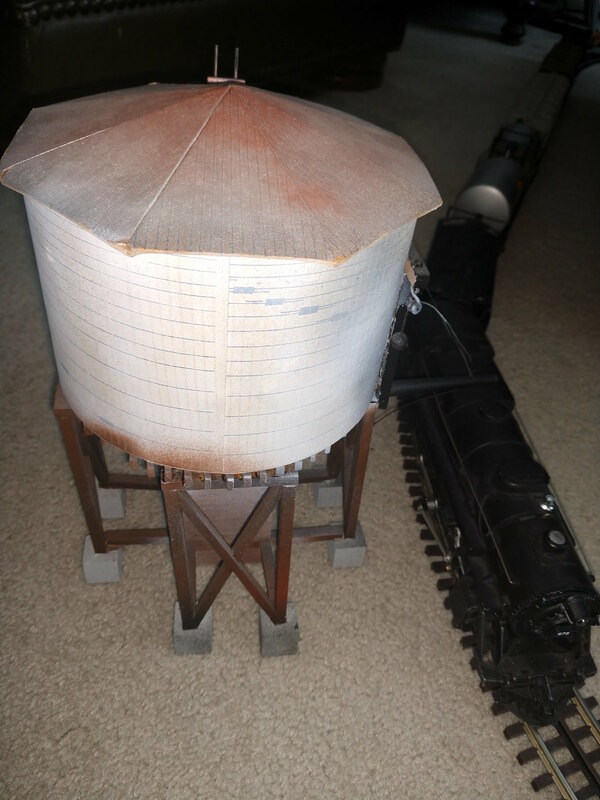 This is easily repaired with wood glue or super glue or with a hot glue gun. For this reason, there are no returns on this item. 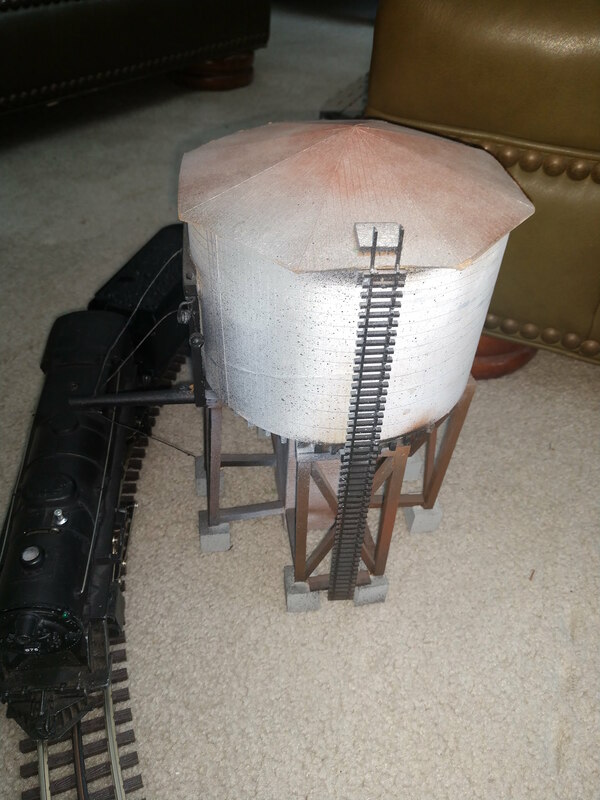 Per Seller - Most orders ship within three business days of completed payment. Shipping via FedEx ground. Any order over $500 will require signature NO RETURNS. No Combined shipping. Will ship either FedEx ground or USPS Priority Mail.